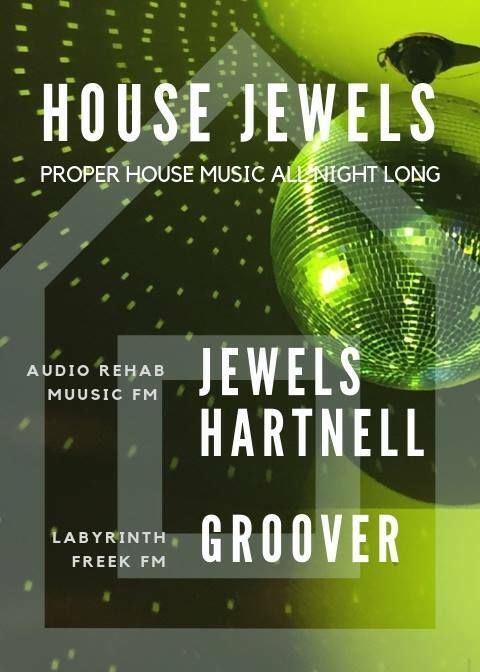 House Jewels - Proper House Music All Night Long The Pre-Launch - Welcome! DJ's Jewels Hartnell - Audio Rehab, Muusic FM Groover - Labyrinth, Original Freek FM Fully loaded EV Sound system Music: House Music - Deep, Old Skool, Classics, Unreleased Promo Table bookings: williamcre8@gmail.com Getting here: Overground: Dalston Junction, Dalston Kingsland and Haggerston stations are a short walk away. Bus: The 30, 38, 56, 277, N38, N277 and 242 buses stop at Dalston Junction, a 3-5 min walk from the venue.